With two days of rain in the forecast, and warmer weather on the horizon, the perfect combination was in place to begin planting the spring garden. It’s exhilarating to be back in the cool soil after another long winter. 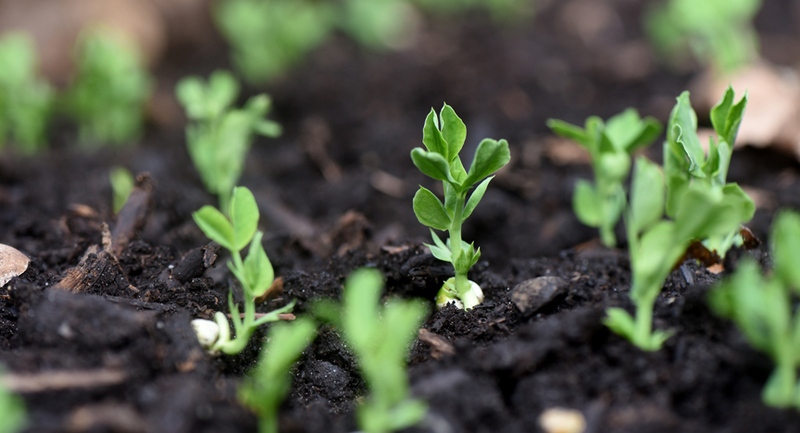 Although traditionally St. Patrick’s Day has been the benchmark for an initial planting of peas, there’s a large window of opportunity to sow seeds outdoors. Even though there might be several days of moderate temperatures, the season brings with it wide swings and even the possibility of snow again. If a radish plant doesn’t head up, let it go. The flowers are attractive to pollinators and will form many edible seed pods. That’s why it’s important to choose the right seeds for the season. There are many varieties that not only enjoy this weather, but thrive in March and April. It’s the garden soil itself that usually prevents planting. If it’s too wet and then turned over, it will be a mess that will persist for the rest of the season. The old adage is that if the soil sticks to the shovel, it’s too wet. I’ve repeated that mantra to gardeners for 30 years. That’s why timing is everything for spring planting. Waiting just one day to sow when the window opens could mean not planting for weeks when rains persist starting the next day. The easiest way around that dilemma is to simply buy some bagged compost at the local garden center. When added to an existing vegetable bed, only a few inches are needed. That new compost is the perfect medium for seeds. As mentioned, historically peas are first, but there are lots of other seeds that enjoy spring. For peas, I always soak them overnight to help aid germination in cool soil. ‘Oregon Sugar Pod II’ has been my go-to variety for decades. It’s a snow pea that when picked young is eaten whole, but when left on the vine can be shelled. Peas need support in the form of a trellis or even some sticks stuck in the ground. The big seeds are perfect for kids to plant and there are no worries about spacing — they will do fine even when planted right next to each other. There are lots of wonderful, different varieties in seed racks at the nursery. Once they sprout, they’ll shake off anything else Mother Nature throws at them. ‘Ostergruss’ which is German for Easter greeting is just one of the many varieties of radishes available for gardeners. They are one of the first crops to be sown in the garden. These are radish seedlings that were thinned from the garden. 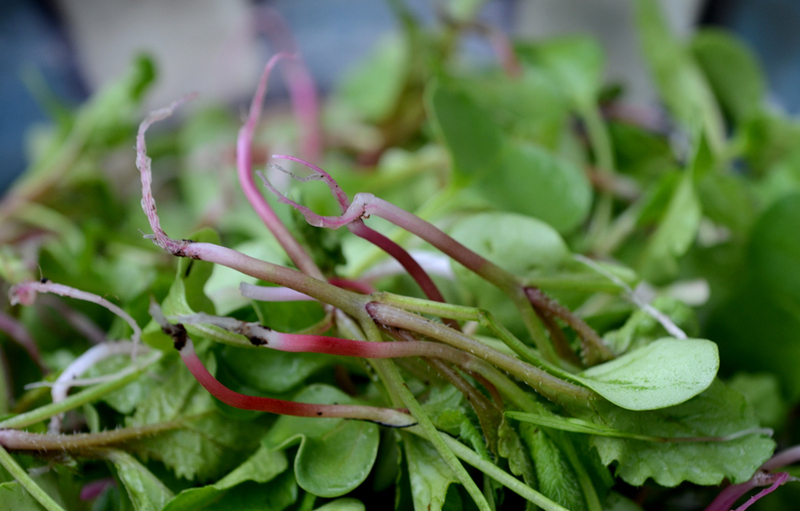 The small plants called microgreens are eaten whole, are sweet, tender and highly nutritious. All the seeds planted this time of the year don’t care about frost. That’s the key to early (and late-season) planting: choosing the right plants. Things like lettuce, other greens, arugula, beets, Swiss chard, radishes, cilantro, carrots, spinach, cole crops (cabbage family), onions and many others can go in the ground now. The leafy greens need the cold as they will do something called bolting when it warms up. That means the plant goes to seed and, when it sends up that flower stalk, the leaves become bitter and inedible. Lettuce that’s planted now won’t be there in mid-summer when the tomatoes are ready. It’s planted now, but also several other times during the season. ‘Simpson Elite’ is my favorite for late spring and summer sowings. It is one of the most bolt-resistant lettuce varieties, and I’ve grown it for 30 years. Its cousin ‘Black Seeded Simpson’ on the other hand is a favorite for sowing right now. Don’t be afraid to experiment, as there are a ton of cool types to plant. 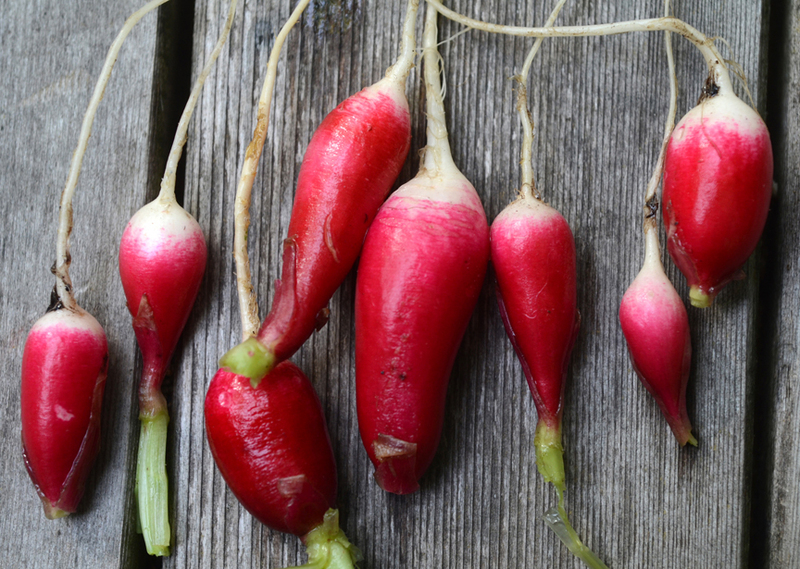 One of my long-time tricks is mixing radishes with carrot seeds. After combining both packets, sow them together onto a nice garden bed. The radishes will be up first and out in a month; as they are thinned, room is made for the carrots. It’s critical to get in there and be brutal when thinning, as all root crops need space to put on what we eat. The small seedlings removed in the process are a tasty treat whole in a salad or on a sandwich. These microgreens are tender and highly nutritious. Some of the early radishes won’t head up. Just leave them be, the plant produces flowers that are attractive to pollinators and then produces lots of young, edible seed pods which taste a lot like a radish. They are always fun to serve to bewildered guests. Cole crops like kohlrabi, kale, collards and tatsoi are just a few of the varieties from that plant family that are easy to grow. ‘Early Purple Vienna’ kohlrabi is a favorite (and it’s one of the varieties I sent to members of the Seed of the Month Club). Kohlrabi is one of those wonderful vegetables that seems to be only loved by gardeners. 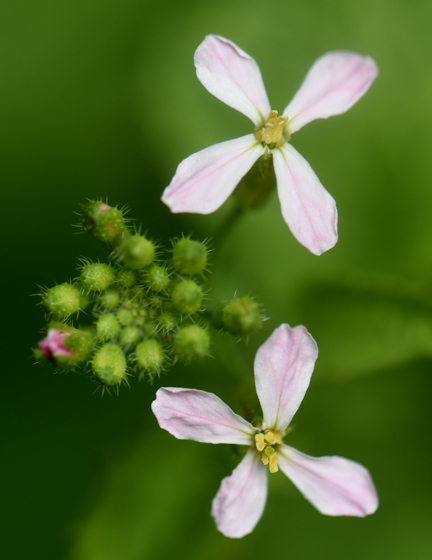 It grows an above ground bulb that resembles a cabbage/turnip/radish-type flavor. ‘Kossak’ was introduced to me by Dan Yarnick of Yarnick’s Farm in Indiana. This is a great one for gardeners and kids as it gets huge, maybe more than 10 inches in diameter and still stays tender and sweet. Recently while speaking at the Duquesne Light Home and Garden Show, I asked the audience, “who hates beets?” There were almost always a few hands raised enthusiastically without hesitation. I assume they were raised on the canned varieties like I was (yuk). Beets from the garden are a different animal. They have one of the highest sugar contents of any plant and when roasted with some good extra virgin olive oil and sea salt are heavenly. ‘Detroit Dark Red’ is probably the most popular, but golden beets, white varieties and others are fun to grow. Look for a packet of mixed cultivars and see if you can get the kids to eat them at harvest time. When things really get cold again (and they will), I’ll give some of my leafy greens some protection in the form of a floating row cover. It’s a spun-bound, translucent lightweight fabric which can be laid over the plants. It acts as a greenhouse and even though the greens will be unharmed by freezing temperatures, they’ll grow faster under the cover. They are available at any good garden center. It’s thrilling to get these seeds in the ground, and wonderful to see them emerge from the rich compost, ready for harvest in just a few short weeks. There’s no stopping us now and that feels great. The ultimate seed and plant source list from EG readers. How to start seeds indoors. These seeds will bring pollinators into the garden.